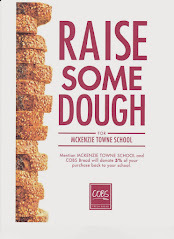 On behalf of the McKenzie Towne School Parent Association, I'd like to extend a welcome to all those returning to MTS and to those who are new to our school. We hope everyone has had a smooth transition back to class. By now, you've probably seen work underway in the playground area. We have completed the first step excavation and sub-surface prep and the machines have been moved off the grounds. We are arranging to have construction fencing installed later next week. The build will take place beginning on September 29th until October 2nd and we will need approximately 150 volunteers to complete the build. You can sign up by clicking on the form to the left of this post. A volunteer sign up form will also be coming home from school shortly. Reminder - MTSC/MTSPA Meetings Tonight!